Wow, what a great second day. I last-minute decided today to cosplay. It was subtle, but fantastic when people got it. I might be getting a bit addicted to this whole cosplay thing. I had a lot of fun moments today. 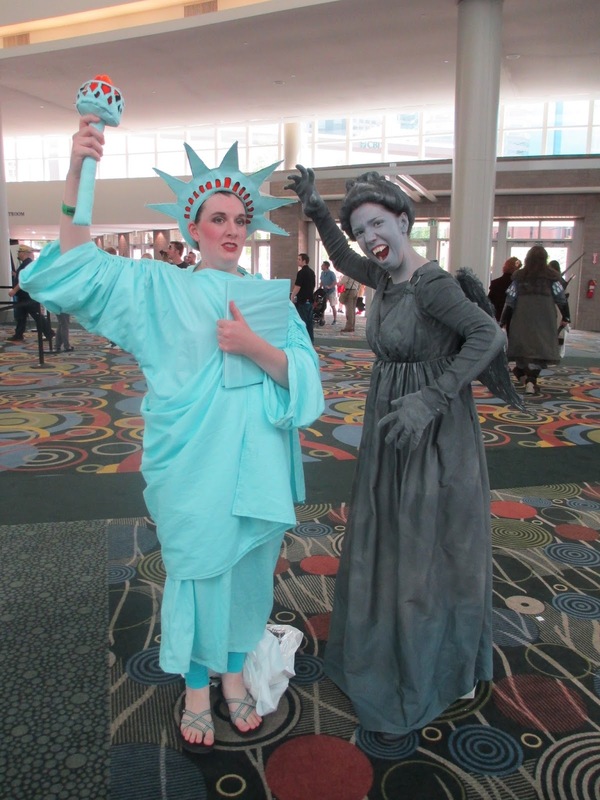 Two Weeping Angels posing together. This was pretty early on in the day before I’d done too much. Now, this was pretty epic and fantastic. My cosplay really worked for two fandoms today. 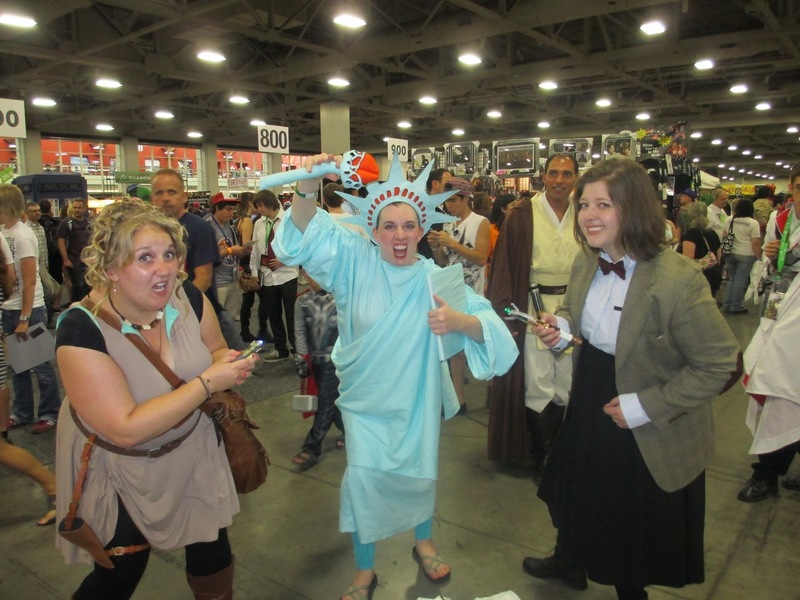 The Whovians who got my costume got super excited. But these guys probably gave me one of my favorite moments of the day. While posing, one of their other members off to the side started to quote Ghostbusters II at me. Hilarious! 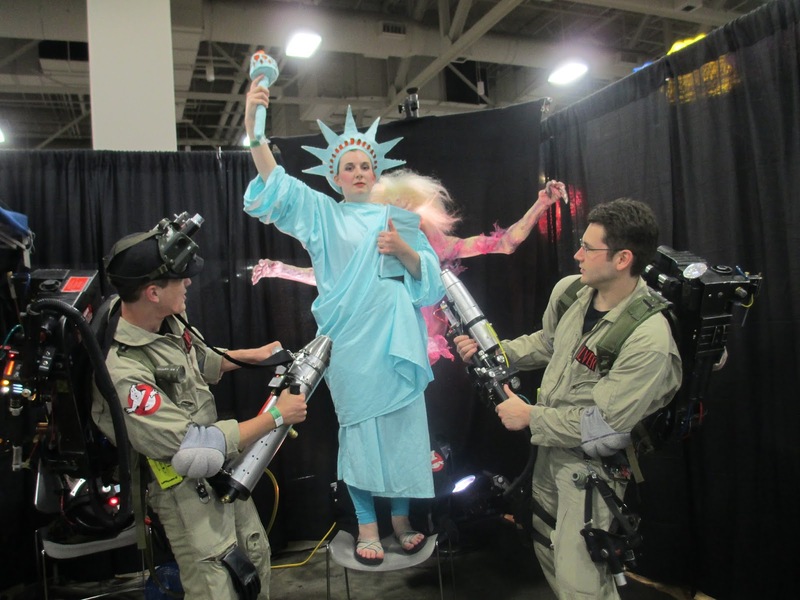 Thanks, Ghostbusters of SLC for making my day fantastic! These gals totally loved my and got my cosplay right off the bat. Kudos to them for for the sonic screwdriver action. This was awesome. There’s a real person inside that suit walking around the event floor. Awesome. 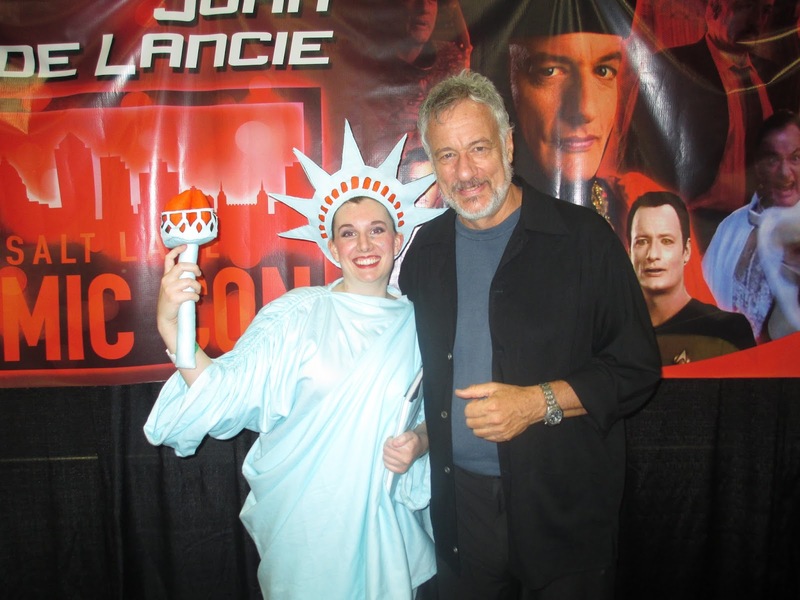 Me and John de Lancie. 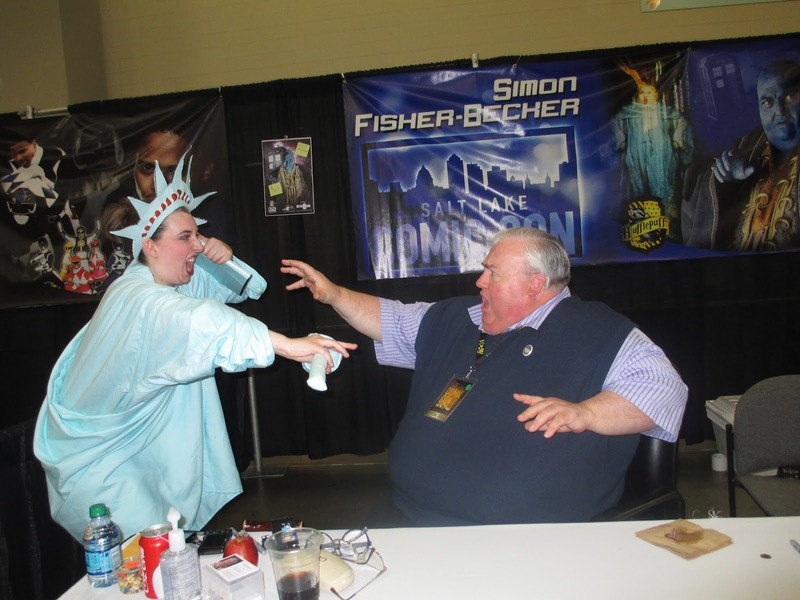 Very nice man, love him for his work in various Star Trek franchises. Gave me an awesome memory by actually acting interested in the origins of my cosplay. 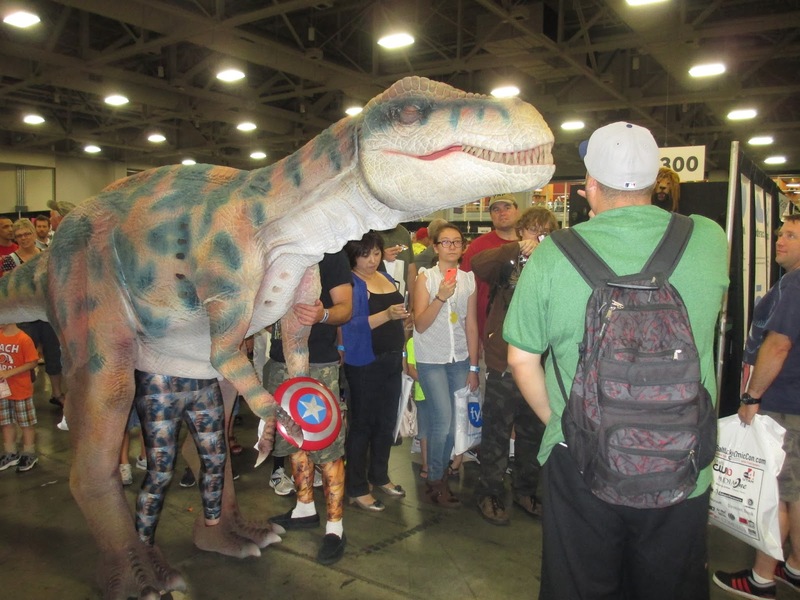 I'm so jealous you got to go to Comic Con!! Stan Lee is going to be there today!!! !